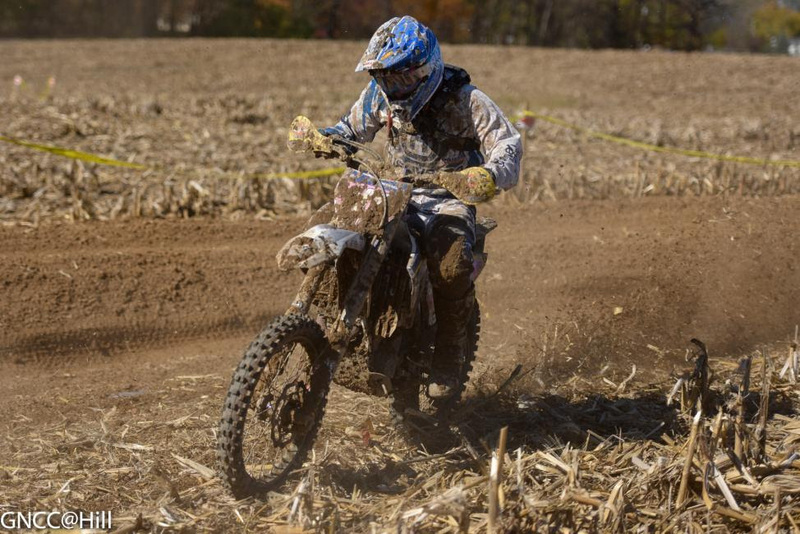 CRAWFORDSVILLE, Indiana - It was another historic weekend in Crawfordsville, Indiana as the AMSOIL Grand National Cross Country Series presented by Maxxis, an AMA National Championship, celebrated 20 years of the legendary AMSOIL Ironman GNCC. 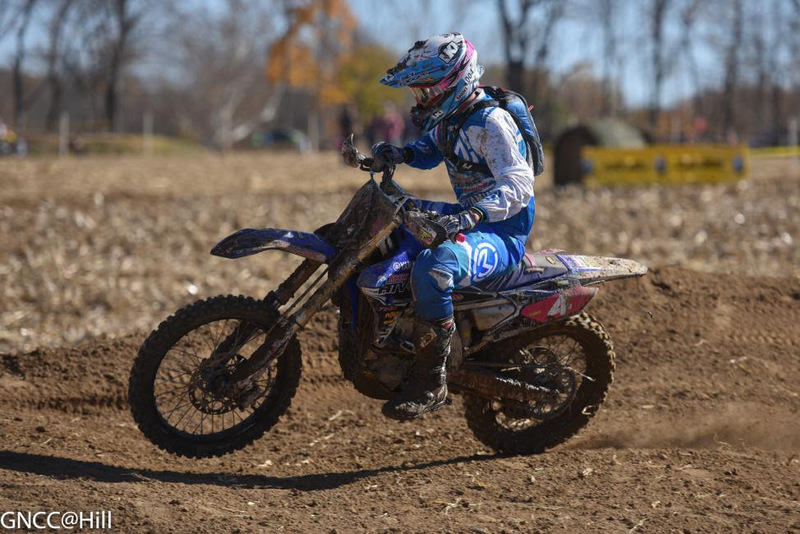 Nearly perfect weather conditions surrounded the newly renovated Ironman Raceway motocross facility where almost 2,300 riders showed up to compete in America's premier off-road racing series over the course of two days. 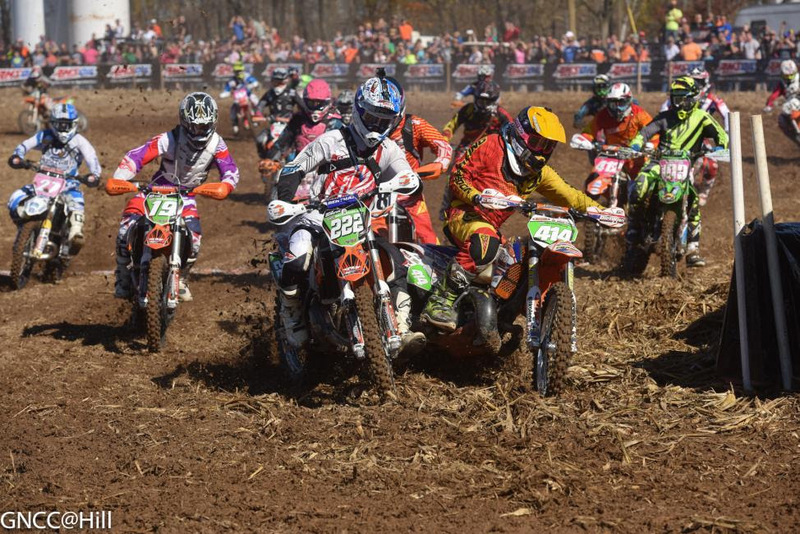 Tallying approximately 200 more riders than the record-breaking Unadilla GNCC saw earlier this year, the 2014 AMSOIL Ironman GNCC posted the highest rider count that GNCC has ever seen in its 40-year lifespan. Factory FMF/KTM's Kailub Russell secured his 22nd career victory on Sunday at the Ironman GNCC finale, marking a total of nine wins this season alone. Since Russell clinched the National Championship two rounds early, the two-time champion set his sights on landing a KTM 150XC two-stroke in the center of the podium at the final two rounds, a feat that most thought could not be done, especially after coming up a little short at the previous round. 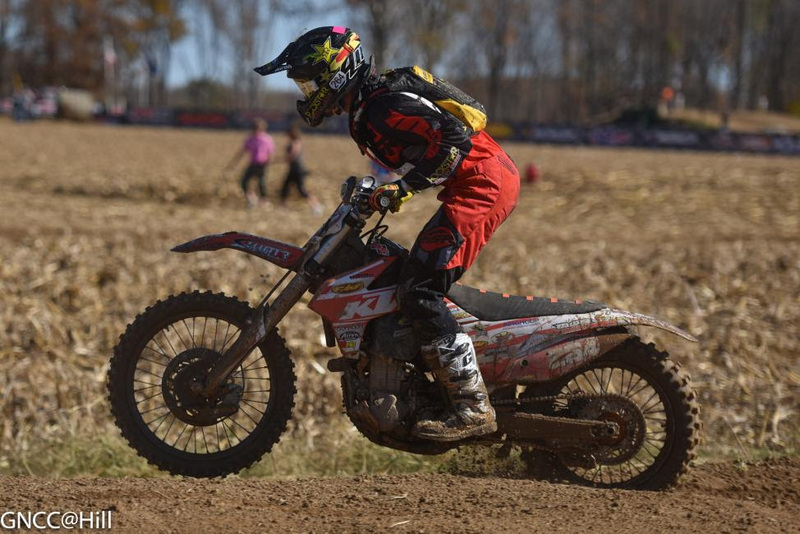 However, this time Russell put forth a convincing performance from start to finish, where he led four of the six laps en route to capturing the 2014 AMSOIL Ironman GNCC Overall. "I want to thank everyone who told me I couldn't win on a 150, because you gave me the motivation to come here and do my best," stated Russell on the podium. "I am so excited to win on this bike and that it has helped raise a lot of money for Rory Mead. Thank you to everyone who participated in the raffle." Russell's Factory FMF/KTM teammate Charlie Mullins grabbed the early lead, with Rockstar Energy/WMR KTM's Ryan Sipes following close behind. The KTM duo swapped back and forth throughout the first couple laps but it was Sipes who officially led the first two laps-nearly one hour-of the race. Russell made his way up to the lead battle by the end of lap two and it didn't take long for the reigning champ to make the pass to take over the lead by the third lap. Once out front, Russell capitalized on the clear track ahead and began to put a gap on the rest of the field. Meanwhile, Mullins experienced a setback that caused him to slowly drop outside of podium contention as a result of sore wrists from a previous injury. As the race wore on, Sipes continued to stay strong and charge ahead but the Kentucky native was soon joined by a hard-charging battle between Rocky Mountain ATV*MC/N-Fab AmPro Yamaha's Josh Strang and JCR Honda/Rockstar Energy's Chris Bach. The three-way battle for second place shaped up just before the two-lap card fell but an unfortunate mechanical issue ultimately removed Bach from that equation. 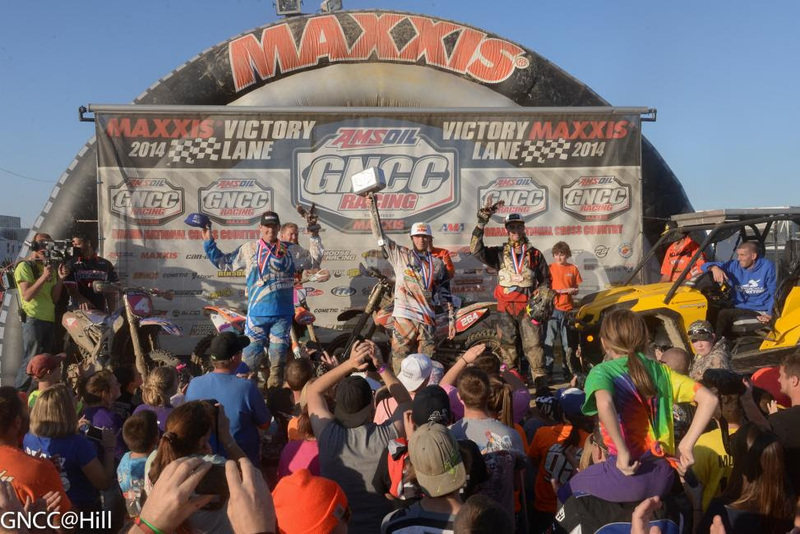 From there, it was a head-to-head battle between the former motocross/supercross racer Sipes and the 2010 GNCC National Champion Strang for the second place position, where the duo swapped positions several times throughout the final two laps. Russell was in a league of his own for a majority of the three-hour race, where he ultimately finished a minute and a half ahead of second place, aboard a KTM 150XC. Despite being underpowered in a few different ways, Russell was able to capture the $150 KR4 Performance fastest lap award on lap two, which is an impressive feat in itself. Strang was able to solidify his move into the second place position on the final lap but Sipes didn't let up, putting on a last-minute charge to finish only six seconds behind Strang in the third and final podium position. Strang's second place finish at Ironman gives the Aussie native a number two ranking heading into next season, which he said isn't a bad thing. "Today was fun and I'm happy to end the season on top of the podium," Strang said. "The last time I came into a season with the number two I ended up winning the championship [in 2010] so I'm looking forward to it." 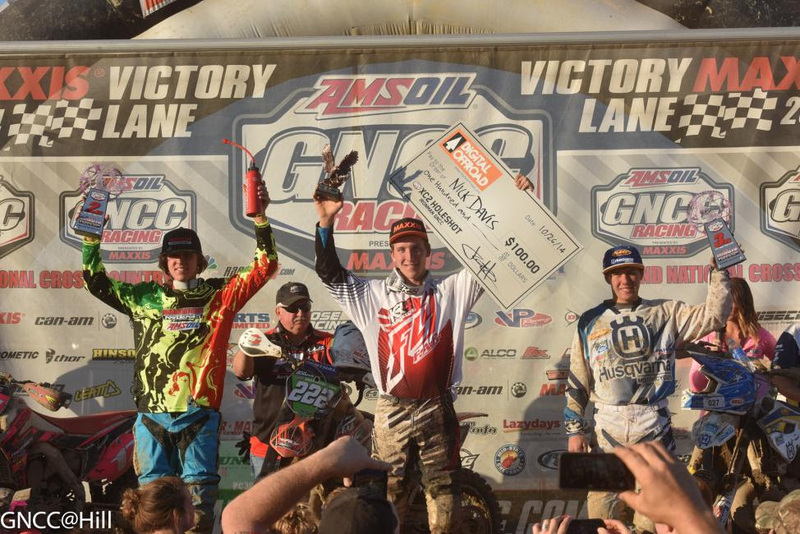 Sipes' impressive third place finish marked his first career podium finish in his rookie season of GNCC Racing. 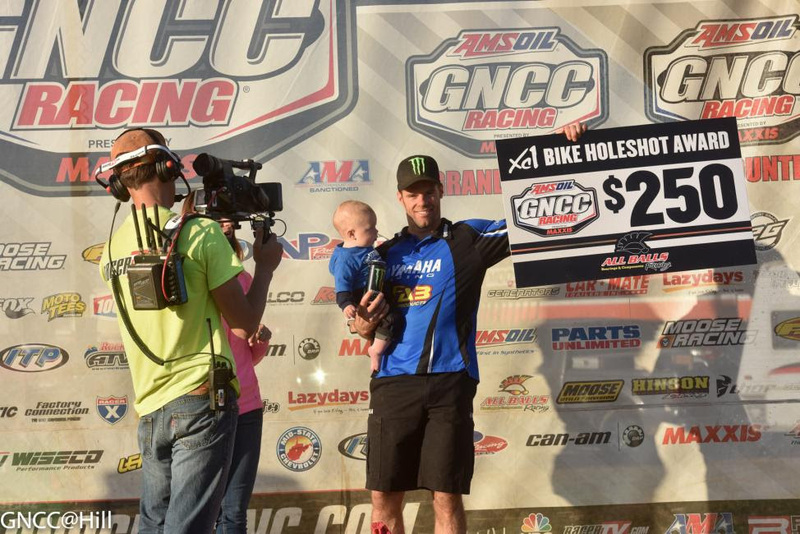 "It feels really good to finally get a podium finish here in GNCC," Sipes said. "I led for two and a half laps and it's just good to know I can charge at the end of a race and not get tired like I was at the beginning of the season. I had a good day and I'm just really thankful to end the season this way." Factory Husqvarna's Andrew Delong finished a solid fourth place overall, with Factory FMF/KTM's Steward Baylor in fifth, N-Fab/AmPro Yamaha's Jordan Ashburn in sixth and Moto Vations Suspension/Palmer Motorsports' Takeshi Koikeda in seventh. 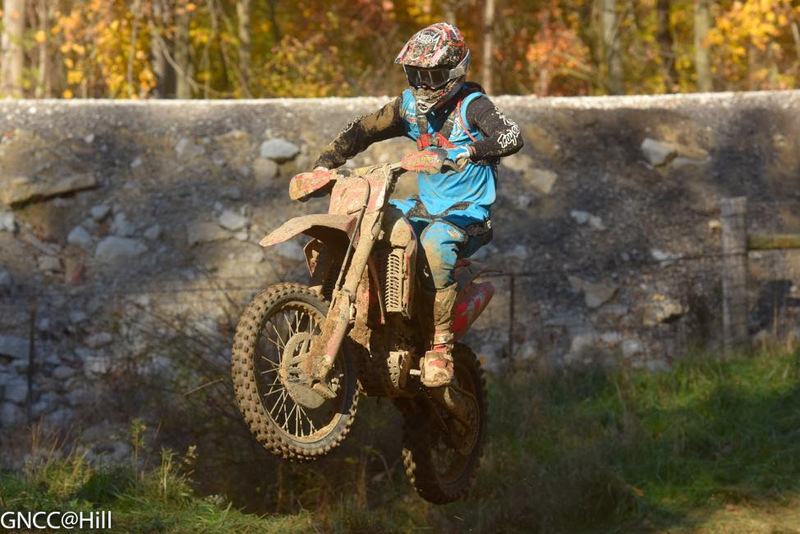 N-Fab/AmPro Yamaha's Paul Whibley finished eighth in the XC1 class, while KTM Support rider Grant Baylor finished ninth in his XC1 debut, followed by Mullins in tenth. With two-time champion Grant Baylor graduating into the XC1 Pro ranks for the final round, the XC2 Pro Lites podium was up for grabs at the last round of racing. KR4 Arrive-N-Ride KTM's Nick Davis came out swinging right away by grabbing the $100 DigitalOffroad.com XC2 Holeshot Award, but it was RideMPS.com/AMSOIL Honda's Layne Michael who took over the lead on the opening lap. Michael led the way for the first two laps, with Davis and Factory Husqvarna-supported rookie Craig Delong joining in the three-way battle for the lead position. Davis took over the lead by lap three and the Pennsylvania native immediately put his head down to create a gap between him and the second place battle between Michael and Delong. The two young guns came together for an exciting battle in the final two laps of racing but Michael used his veteran experience to hold off the rookie Delong and capture second place in the class. Delong, the recently crowned 250 A Champion, maintained his position to finish on the podium in just his second XC2 Pro Lites appearance since making the move from 250 A. If you missed any of the racing action from Sunday's AMSOIL Ironman GNCC, you can catch it all right now on www.racertv.com or by clicking HERE.